The carpet at Nashville International Airport (BNA) is following in the steps of the celebrity carpet at Portland International Airport. The BNA carpet dates back to 2010. It has its own Instgram account with about 7000 followers and lots of photos featuring feet, people, pets and babies on the carpet. 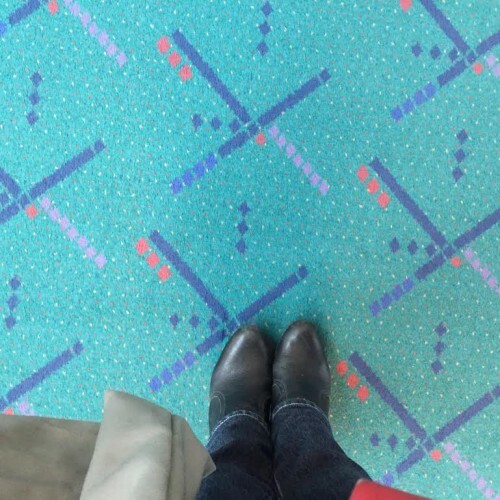 Like the PDX carpet, travelers can even buy products featuring the pattern of the BNA carpet. In addition to shoes with the BNA carpet pattern, the list of carpet-themed goodies includes hoodies, leggings, socks, luggage covers and hoodies. If you love the pattern and want a photo of your feet on carpet, though, start thinking about making a trip to Nasvhille International Airport. 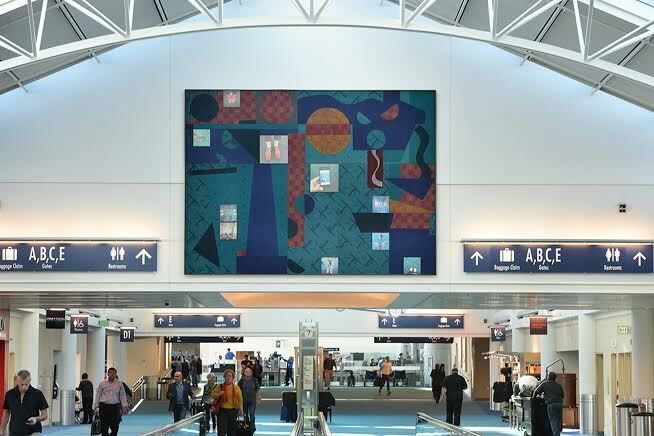 According to a local news report, as part of renovations and upgrades at the airport the BNA carpet is scheduled to begin being replaced starting in summer 2020. The carpet will totally be replaced by terrazzo or by a carpet with a new pattern by 2023. If you do go to Nasvhille International Airport to check out the carpet, be sure to look very closely: airport officials say there are guitar images hidden in the pattern. Do you have a favorite airport carpet? I’m working on a story about wildlife management at airports and this week did a ride-along with Nick Atwell, the Aviation Wildlife Hazard manager at Portland International Airport. His team is responsible for keeping animals – mostly birds, but also coyotes -away from airplanes, and one of the tools they use are home-made traps like the one above that allow birds to be safely captured, and then banded and relocated. These and other images and stories gathered from airports around the country will be part of my next “At the Airport” column on USA TODAY.